Are you struggling to get enough new customers? Do you find you keep trying to sell to the same people over and over? To make sales you need sales calls or meetings, and for that, you need someone to sell to who might actually buy. Keep reading and I’ll show you exactly how to get and convert more business leads. A business lead, usually just called a lead, is any organization or individual with an interest in your products or services. In other words, a lead is someone who could be a future customer. A marketing agency will usually refer to a lead as anyone signing up on your mailing list or making contact. To a sales agency or salesperson, a lead is someone showing a strong interest in buying. So you can see the meaning can sometimes be confusing. To get more “sales leads” you need more “marketing leads”. Marketing leads are traffic to and through your business. This can be calls, emails, online chats, walk-ins, and others. Without enough traffic, you can’t convert enough of these marketing leads to sales leads and make enough sales. So both types of leads are important. Lead generation means creating potential customers – leads. Online lead generation attracts prospects with valuable content and giveaways that relate to your business. This can be in the form of videos, articles, eBooks, free courses, etc. The aim is to get them to make contact in some way, even if only to join your mailing list. You can then develop an interest in your target audience so they can learn more about your product. Some of these interested prospects then become buyers. Lead generation is the process of attracting potential customers so they can become actual customers. If you’ve ever worked in sales or run a sales team you’ll have learned this: No matter how good the salesman, he or she never closes every deal. Even your top seller is only going to close a small percentage of the prospects he or she speaks to. You should give your sales staff so many prospects to contact that they don’t feel like they have to close everyone. They can then concentrate on the kind of deals you want them to make, instead of hunting for scraps. South Africa is in a very exciting time marketing-wise. Many businesses are still trying to figure out how to use digital marketing. We’re a bit of a traditional bunch, a little stuck in our ways at times. If this isn’t you, I’m sure you can think of people you know like this! Digital marketing simply means using modern technology-driven marketing channels instead of traditional ones. Think web, social media, and email instead of billboards, print ads, and tv. We’re going to go over some proven ways to generate leads using digital marketing next. Make use of web and social media ads to send your message across. The average adult spends between 2 to 3 hours on social media alone. A quick, cheap way to attract new leads is through social media services such as Facebook and Instagram ads. If you own a walk-in business, where would your ideal location be? On a busy street corner right? With online marketing, the same idea applies. You want to be where your people are spending their time and giving their attention. Social media is a great tool to turn heads and get your brand out there. It’s an even better tool for word of mouth. Posts get liked, commented, and shared among friends and like-minded individuals. This directs more traffic to your website. If you’ve tried this and haven’t had much success start thinking about what you’re posting. Take a step back and have an honest look. Try and put yourself in your audience’s shoes. Look at your posts from the viewpoint of someone who knows nothing or very little about your business. Would you be interested in what you just posted if you were swiping through Facebook? Does it truly entertain, educate, inspire or move you to take action? If not, get creative. Come up with some ideas of what does. Don’t be that boring guy in the room that no-one wants to talk to! Remember, generating leads has everything to do with creating interest. Google’s AdSense allows you to run ads around specific keywords. Keywords are the words you put in Google when you search for something. 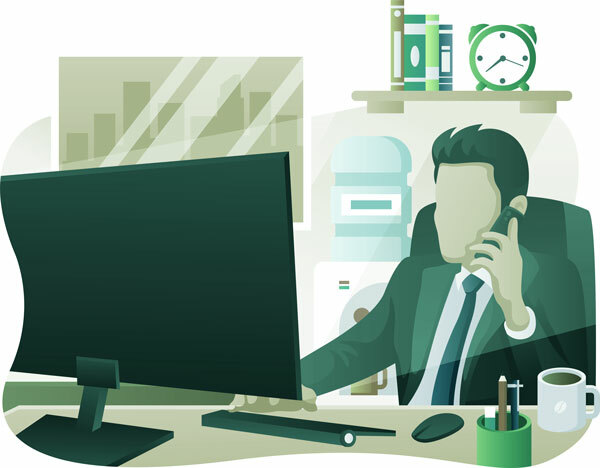 This captures the attention of a potential lead who is searching for specific products or services relating to your company. The person searching will come across your ad which will direct them to your company’s website. Your company only gets charged when an ad is clicked, so you know every cent is being well spent! Google ads can seem expensive if you’re starting out. Each ad space for a certain search term is auctioned. So the more advertisers there are wanting that space, the more you pay per click. If you can create a smart way to convert enough of these clicks into sales they more than pay for themselves. The way to do this is to make sure your website design is excellent. You may not realise it but this is one of the best ways to get more leads! It is important to track how you get your leads. Record your successes, failures, and related information about your lead generation process. Whether you are using your website, Google AdSense, direct marketing, etc. keep tracking your results. The statistics you receive can be used to improve the lead generation process in the future. See something you started in Jan that starts producing results in Feb? Do it more! Changed something in March and the results went down? Change it back to how it was! If you don’t track your results you’ll never know what’s working and what isn’t. 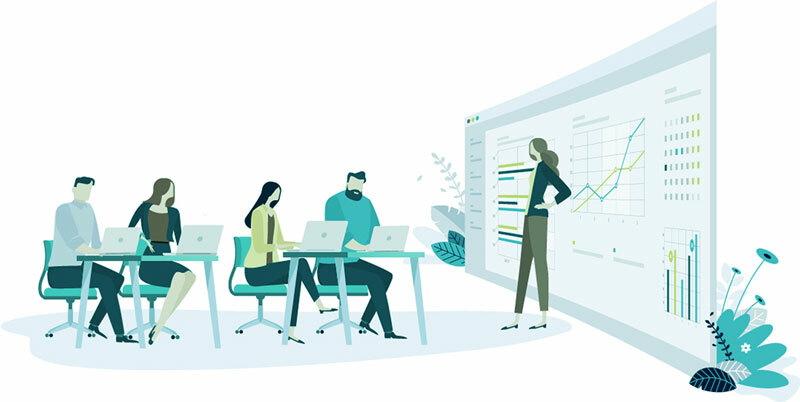 There are a great number of services that allow you to track and analyse your leads generation process. One of them is another Google product called Google Analytics. This service allows you to analyse your website’s traffic. It will report on your audience’s behaviour as a group down to the smallest details. Things like how long they spend on each page, which pages get the most traffic and many others can be tracked. It takes a bit of getting your head around what these statistics mean sometimes. On our own website, I saw that users were often spending 10 minutes reading an article. But then they would leave 🙁 So I had a bright idea. I put a little bottom menu at the bottom of each page to encourage them to keep checking out the rest of the site! Now more people stick around and see what else we have to talk about. Google Analytics is just one useful tool. There are many others. The main point is to not think that the work ends straight after generating the leads. Look for feedback and analyse. Look for ways to keep improving your traffic and getting a higher percentage of them to become sales. Think of lead generation as a machine that you keep fine-tuning to keep running faster and faster. Place a form on your website for clients and interested people to fill in. To encourage sign-ups, give something valuable in return. You can offer any item of value. Offer videos, eBooks, unpublished information, etc. Get their email or phone number “as payment”. It’s the first small transaction that can lead to bigger ones. Once you have their details start sending interesting emails about your business, or get your sales team to call them. You can even personally email them. Ask them what interested them about your business. Ask what problem they’re looking to solve. The relationship can be grown from there. 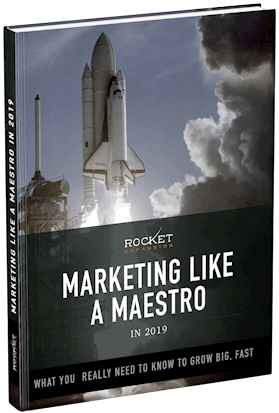 At Rocket Expansion, we offer a free eBook with some of our best marketing advice. You can get a copy here if you haven’t already. Search Engine Optimisation (SEO) makes a website show up as one of the first few search results on Google. The better the SEO, the better your website will rank in comparison to competitors. A higher rank means more traffic on your website. More people coming to your website means your website can generate more leads. SEO is something even a lot of marketing companies don’t understand. I know this because I’ve personally listened to “SEO specialists” tell me about what they do. Then afterward looked at their complete lack of results. Optimising your website for search traffic from Google is more of a long term strategy. Google is a complicated robot. It has to compare over a billion websites to each other to decide which to rank where. It can take time to produce results. The beauty of this strategy is that people searching in Google want to find your website. They are much more likely to buy than if they’re just swiping through social media. Whether you want a boost in leads or want to outsource the whole thing sometimes you need help. Digital marketing is complicated. There are so many different channels. So much information is being shared all the time. Unless you have a killer product or service that everyone wants you may not cut through the noise. Your business is successful because you’re a specialist in what you do. Why not get the services of an expert in sending leads to business who knows their stuff just as well? Done right it’ll obviously produce a return on investment. If you want some advice on a leads generation strategy please feel free to contact us at any time. We’re kind of obsessed with creating sales opportunities for our people. Lead generation is a must for any and every company existing right now. Without a way to generate leads and convert them to new business, you will starve sooner or later. We are all connected through the internet. We are no longer living in 2002, everything is being done online. You want to watch a movie? Stream it online. You want to buy a book? Order it on Amazon. You want to attract customers? Why not invest in online lead generation? The smarter the lead generation, the better the leads. Better leads mean more customers, more profits, and a better conversion-to-sales rate. Lead generation is a must and digital marketing is a smart, cost-effective way of doing it.